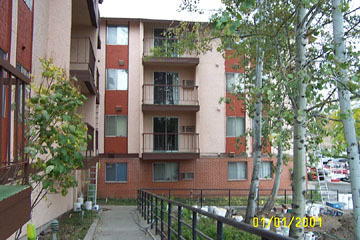 HUD Project-based Section 8 housing. Senior (62+) and/or disabled (18+ or emancipated). Household income cannot exceed 80% of Whitman County Median Income. Rent is based on 30% of combined adjusted gross household income. On-site coin-op laundry, in-unit A/C, intercoms, emergency call switches, elevator, computer room, community room, community patio, fenced dog yard. Building secured at night. Assigned tenant parking. Close to regional bus service, within 2-blocks of City transit, close to 24-hour grocery and thrift shop. Security deposit based on income. No screening fee, but background check required. One pet with application, signed agreement, and pet deposit. No deposit for registered service animal or companion animal. Kenwood Square Apts. owned & managed by Community Action Center. An equal housing opportunity provider. Maximum household income is 80% of Whitman County Median Income as set by HUD. Below HUD low income limits with preference for lower limit households. City Transit bus stops nearby, Dial-a-ride service to door upon request. Water, sewer, garbage included. Intercom with door release for after-hour visitors. Emergency call switches in units. All units offer HUD Project-based subsidy so your rent including utilities will be based on 30% of your monthly income between the rents listed.